Klein Tools Insulated utility tool kit includes 9-Inch D2000-9NE-INS, 8-Inch D2000-28-INS, 8-Inch D2000-48-INS, 8-Inch D203-8-INS, 602-4-INS, 602-7-INS, 602-8-INS, 633-4-INS, 603-4-INS, 633-7-INS, 63050-INS, 10-Inch D502-10-INS, 1571-INS and 33535. This tool kit comes with four pliers, six screwdrivers, one cable cutter, pump pliers and a skinning knife. 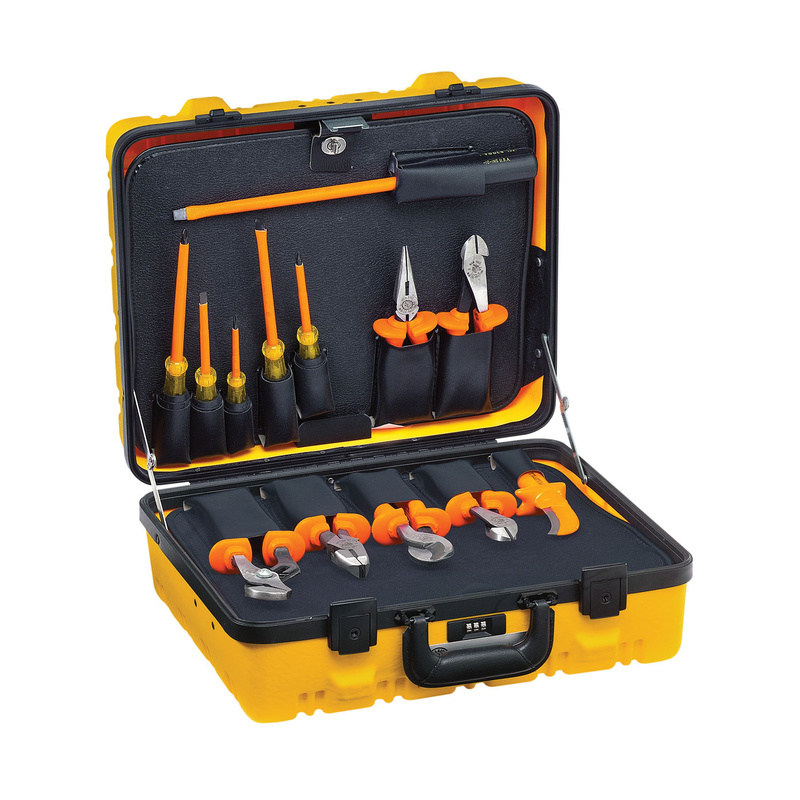 The tool kit features piano-hinged case cover that includes lock and two key-locked latches for ensuring security and storage space behind pallets. It has two layers of insulation for resisting electric shock. Kit features a handle in orange color that has high-dielectric plastic construction for added durability. This 8.25-Inch kit is suitable for general applications near energized source. The utility tool kit meets IEC 60900: 2012 and ASTM F1505-10 standards.